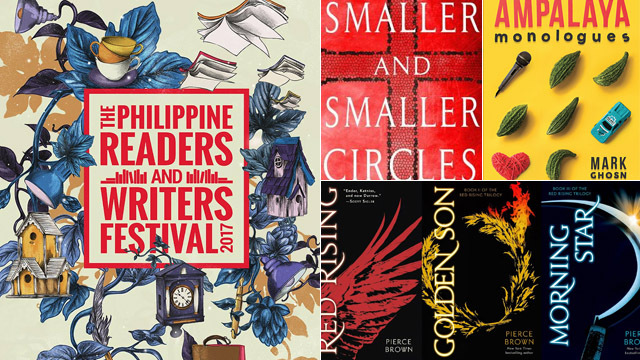 The "biggest little play festival in the world" comes back to Manila. 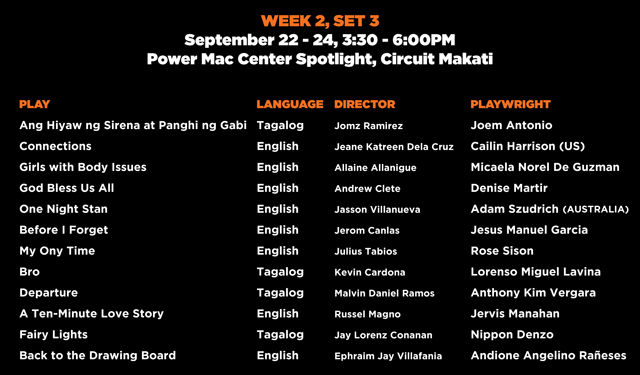 (SPOT.ph) Full-length plays aren't everyone's cup of tea. You have to sit through a two-hour show (or more if there's an intermission), avoid daydreaming in the middle of Act 1, and hold your bladder unless you want to miss an important scene. 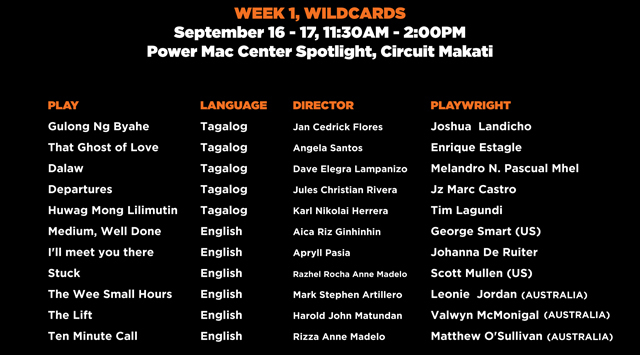 If this isn't your thing, then the biggest short play festival in the world may just be up your alley. 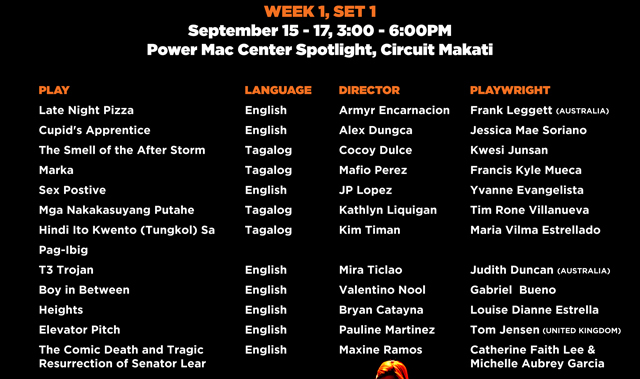 Short + Sweet Theater Manila is slated to happen from September 15 to 30 with a gala night on October 1 at Power Mac Center Spotlight, Circuit Makati. 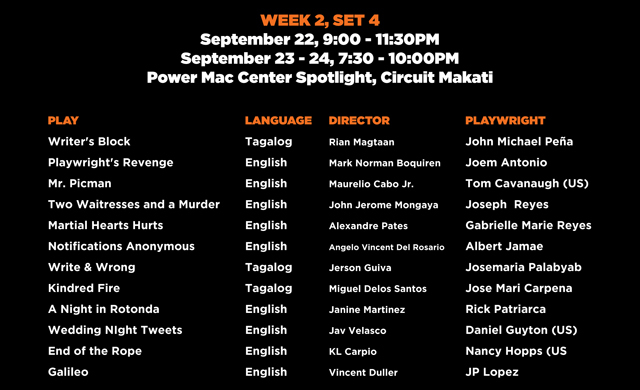 Short + Sweet, a festival of 10-minute plays, runs for the fourth time in Manila with a bigger and better roster. 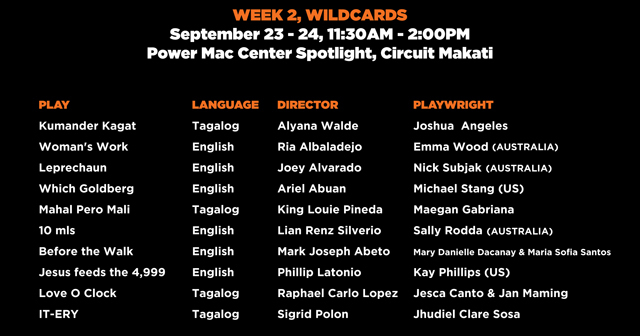 From last year's 30 short theater pieces, it amped up its game and selected more than 70 stories from different parts of the world—Philippines, Australia, United Kingdom, India, and the U.S. 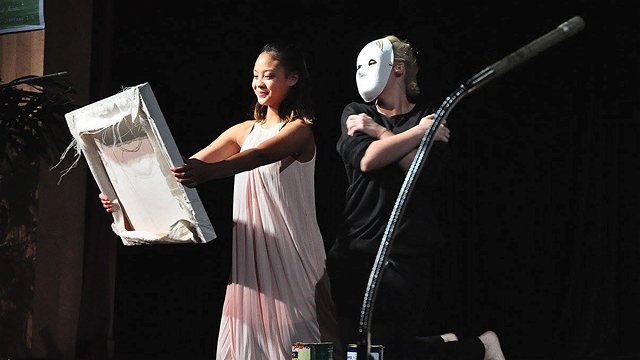 This theatrical initiative began as a small festival in Sydney, Australia and slowly gained international attention through partners all over the world. 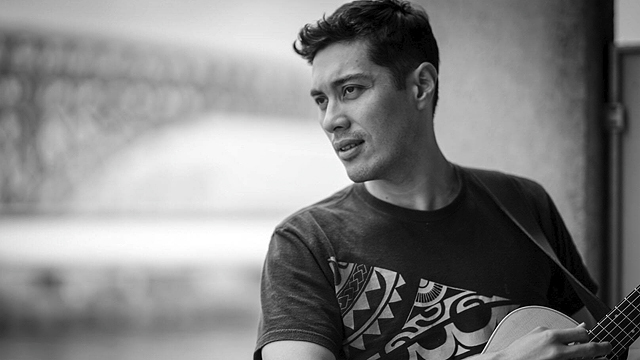 It aims to be an avenue for local and foreign artists to present their bodies of work, while utilizing the actors and crew that Manila is already well known for. 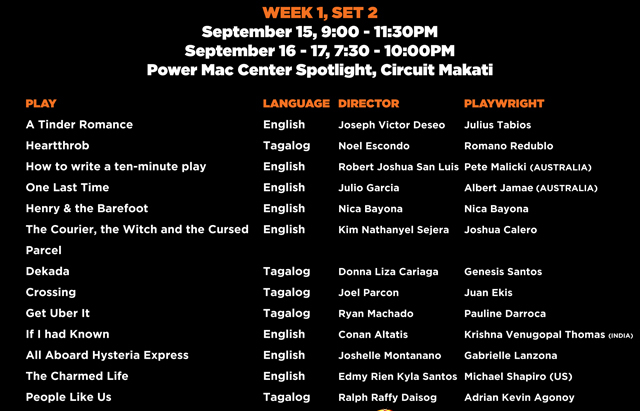 “Short + Sweet Theater Manila is a communion. It is has broken the ice between various theatre individuals by bringing them all under one umbrella. It's a celebration and the synergy is simply beautiful,” says festival director Divya Rajan. Winners for Short + Sweet Theater Manila 2016 include Objectum Sexuality by Ron Burch (Best Overall Production), Kim Nathanyel Sejera for Procrastination (Best Director), and Allan West for Procrastination (Best Playwright). 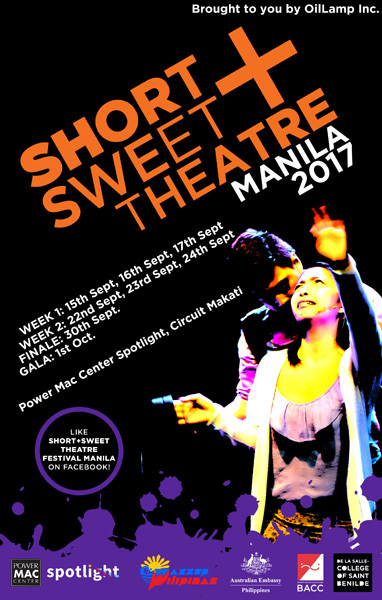 Short + Sweet Theater Manila runs from September 15 to October 1 at Power Mac Center Spotlight, Circuit Lane, Circuit Makati, Makati City. Tickets, priced from P420 to P550, are available through 0917-877-0011 or 0977-751-3933.